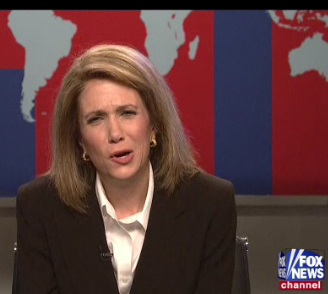 SNL Asks, What Would A Civil Fox News Look Like? Kristen Wiig put on her Greta Van Sustren wig this weekend when Saturday Night Live spoofed Fox News, in the aftermath of much of the country calling for an end to over the top political rhetoric. SNL does it with a wink and a nod, but the comedy show raises a legitimate question: Is it even possible for Fox News to embrace civility? The network seems to exist first to whip its conservative viewers into a nonstop frenzy, and second to deliver the news deliver their version of the news. The network is often found to be guilty of misinforming watchers. Bring on the giggles. Check out the clip below.